Special thanks to Brad Dyck for submitting this wonderful interview with Rob Bridgett to DesigningSound! RB: It’s funny, see the bags of coffee up there? That’s Sightglass coffee. It’s an incredible coffee shop in San Francisco. It’s funny because that’s where I met Damian (Kastbauer) at GDC this year. It was early, I was a little hung over and saw he tweeted about Sightglass so I was like, “I’m on my way,” and just showed up there. So it’s kind of funny to see that in here when we are talking about game audio. BD: GDC always sounds like a great time. RB: Yeah, I’ve only been there 3 times. The first time I went I did a lecture there so I was focused on that and I couldn’t really focus on the networking side of it too much. I was just too caught up in being prepared and stuff like that. Then the second time, we were in the middle of production on a game and I was busy meeting people to do with that. But this last time was just after we shipped, so I was free to go to see lectures or just meet with people. I got the most out of that. Meeting new people and getting brand new perspectives. You kind of realize that there are a lot of key players and social organizers out there, like Damian’s one of them and lots of other audio folks congregate around certain people or even certain bars or events. You end up meeting everybody in the space of a couple of hours and getting into some amazing conversations. For example, around a single table for lunch (a long lunch) I ended up meeting Martin Stig Andersen, Chris Rickwood, Michael Raphael, Chuck Russom, Matt Piersall, Bob Rice & Rob King, and that was just a random meet-up that kind of organically happened, and that kind of thing went on all week, it really feels too short. The talks at GDC have become way more interesting now too, there is a lot more diversity going on in the industry now. BD: You feel the technology has made them more interesting? RB: Yes, the technology and the rise of the indie developers has brought so many fresh approaches. BD: I watched a few of the talks in the vault like the Bastion one, it’s pretty interesting. RB: Yeah, the vault’s great as well, I mean, you can’t beat being there, but even if you go there you’ll definitely miss some of the good talks – so it’s good to be able to go back to that vault and catch up with them later. Or you might have a hangover when you show up there at 9am, it might just be like “Oh there’s Dave,” and saying hi to people you might miss a whole bunch of stuff. So it’s great, it’s one of the only conferences that do that, that records everything professionally and publishes it, they’re really good at that. If you go to the Develop Conference, the dev magazine out of the UK, have you heard of that? BD: I haven’t heard of it, no. RB: It’s also really good, it’s in Brighton every summer. They have an audio day, rather than several talks spread over several days, but, to my knowledge, they don’t record any of it in the way that GDC does. That’s a shame in a way, that it’s not available for everybody to listen to later because I’ve heard so many interesting talks there. BD: What was it like to do a talk, was it nerve-wracking at all? RB: Yeah, I wouldn’t say I’m a natural public speaker but in every instance that I’ve done a talk it’s always been because of something that I’ve worked on that I thought needed sharing with the community. 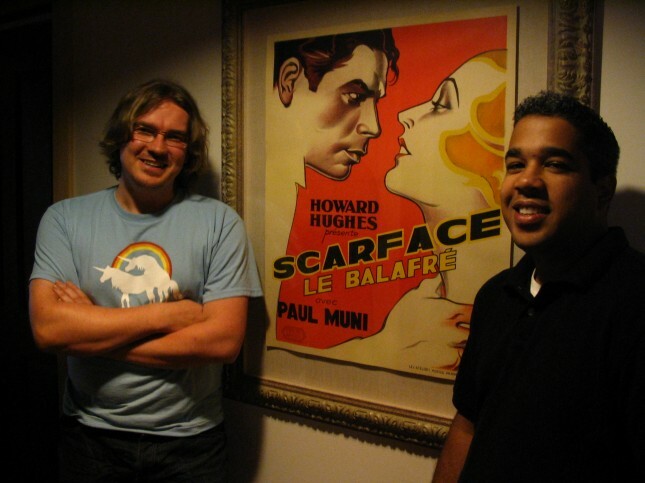 And that one at GDC was about the mixing and post production that we did on the Scarface game. Myself and Rob Sparks, the audio programmer, took the whole game off-site and did the post production at Skywalker Ranch. It felt to me like something that you might not have seen done elsewhere in the industry so it would be a good thing to document and put out there. I had all this material that I had accumulated from doing it. So that’s what encouraged me and gave me the courage to do it. All the technical info, all the planning that went into it down to what it was like to take a game off site and remotely work on it in a studio in a different country while the rest of the team was finishing up the game in Vancouver. There were tons of challenges and lessons learned. So I think as long as you’ve got something you really are passionate to talk about then the nerves aspect takes a backseat actually, which is pretty useful. BD: As long as you have the knowledge to fall back on. RB: Sure, It’s always different. I did a similar one at AES in San Francisco the following year. It was a very similar theme and it was before AES had really developed the games-focus it has now, so it was a very different crowd to GDC or Develop. I thought the questions at the end would all be about post production and film mixing, reference and loudness levels but they were more general interest in games. I think that it was just because it was a totally different crowd with different experience and you’ve got to adapt to that. The presenter before me was talking about an amazing breakthrough in binaural recording that had been made that would make things significantly more realistic. I walked in halfway through and caught the end. It felt to me like pure technical data and stuff like that. I was like, I can’t follow this guy (laughs). BD: You just have to do your own style. RB: Yeah, exactly, or to cinematics director you might talk in terms of focus, what’s the focus of this scene. Sound design and mixing is really close to cinematography – like focusing on a lens. You’ll pull focus on something closer and shift to a background detail. It’s often a lot more relatable to talk about it in those kinds of terms. Or in terms of narrative designers, talk about what the character is feeling and really not talk about sound at all. Just, be able to interpret what the character is feeling and then do something in sound that emphasizes that. So I guess a lot of the work of being a sound designer is talking to people, interpreting, being an interpreter and communicating. BD: How do you feel the overall communication is within the industry in regards to game audio and the rest of the areas? RB: The audio community has always been really good at communicating within itself. Almost to the point of becoming a sub-culture of games, and that’s actually dangerous. I think only within the last 5 years you’ve really seen the awareness of the need to communicate with all the other disciplines equally. You’re slowly seeing that now, even at the GDC level if I bring it back to that. Brian Schmidt, the president of G.A.N.G. at the moment, he did a talk last year just for producers. BD: Did he work at Microsoft? BD: Yeah, I was at a talk for him once at VFS. RB: Yeah, he’s an incredible guy with tons of experience. BD: He started with arcade games I think, really old school games. RB: Yeah, he’s a real ambassador for every aspect of sound. So he aimed this talk about audio to ‘non-audio’ people, it was to producers and production people. It was a very deliberate and focused effort that points to that exact problem of the ‘audio sub-culture.’ That sort of thing is happening more often because it’s pretty clear that the developers who are doing the job really well are the ones that have this inter-discipline communication – it can’t just be sound guys locked in their studio working away at the end of the production line anymore. That can sound fine, but the issue is there are a lot of missed opportunities when you work like this, and a lot of needless frustration. So I think you’ll see those invisible walls keep coming down now because there are very successful companies that are doing it really well like Valve, Play Dead, Naughty Dog, and DICE. BD: Do you think that the various developers you have worked at had the environment that you talked about in the article ‘Breaking Down the Walls’? RB: It was definitely there naturally on certain teams, at certain times, but it is something we were always working on as well. That’s the real reason for writing that article, in some ways it was this ‘utopian vision’ I had of a development studio that was physically designed around an awareness of sound, but, in terms of the collaborative aspect, I don’t think it’s something that just comes for free, even in a very open & collaborative culture. You really have to get up out of your comfort zone and go talk to people, especially if it’s not happening. The onus, I feel, is always on the sound designer to be the one who makes that first move because otherwise there is a risk you’ll be forgotten, or you’ll miss a tiny detail or an amazing opportunity. You’ve got to be pro-active and on it every day. It can be kind of natural human nature to be the opposite and work only within your discipline. BD: People can take the sound for granted, figuring that it’ll sort itself out. RB: Yeah, nobody is doing that deliberately but people do get focused on their own area and on the work itself. If you’re a technical sound designer and you have a ton of sounds to implement, that’s your focus and you want to get it done, but that’s only a small part of the process really. It’s only when you come up against a roadblock that you may think of going to talk to someone whereas perhaps a different way to do it is before that implementation happens, be a contributing part of the group that is working on that feature, pre-empt those roadblocks, or at least some of the bigger, more obvious ones which you’ve probably anticipated already. You’ve talked about and mapped out the timing or how sound is going to figure into the experience of features like weapons, cadence, reloading, realism vs presentation. Or even game design features like how you get through a door and the methods of progressing through a particular level. Or presentation, stopping and starting music cues, and UI sound, everything really. It’s always healthy to be a part of that team early on. In audio, we have a unique problem in that respect because we’re usually in sound proof offices or studios. There’s that physical barrier to get through a lot of the time as well. Just do simple things like keep the door open, get up every hour, walk around the team space and just have conversations with people. It comes back to being pro-active, more of that still has to happen I think, keep fighting it. It’s interesting as well because that starts from an internal role, everything I’m talking about can only really happen, or be kick-started, from an internal sound designer/director point of view – if you’re on site all the time from the beginning of the project and can influence the culture at the studio. We should never forget that this is a business and the temptation perhaps, is for a developer who maybe doesn’t have in house sound people is to hire a contractor to come in late in the process, to look at it from a dollars and cents viewpoint, a production viewpoint, rather than a creative one. But I think even the contractors are being brought in earlier now and I think that’s being recognized by savvy developers, it actually makes sense from a business point of view, because you end up shipping a better product. BD: Do you think it’s getting better as far as job security goes for audio people or they’re becoming more integrated within a company? RB: Yeah, I think so, I hope so. I was kind of worried for a while when I saw the rise of the iOS apps. When those apps first started appearing the quality of sound was very low but now the quality is a lot higher. That has happened really quickly. A lot of those apps in the top ten charts are all incredibly well done, they have sound that is really well thought out. In a way, you have to think about it even more with something like that, it’s got to be a real sticky kind of experience. There can’t be things that really annoy you about it, all those things are part of that same collaborative and iterative process we talked about. BD: When there are less sounds it becomes even more important what you put in to make sure it’s not too repetitive. RB: Yeah, that’s an ongoing process, that process of getting rid of things because as a sound designer, I’m sure you’ve found this – it doesn’t matter what you’re working with whether it’s linear film, an iPad game or if it’s a full on triple-A game, you’ll tend to start out throwing as much as you can in there, cover everything you can. RB: And then only after a while of working like this, there comes a tipping point in the process, you start to pull things back and go “Okay, this is too much,” or “this is too repetitive, let’s try something different here.” That’s one of the key moments in the long term iteration process, just being able to constantly refine it and keep enriching it as a part of the experience. Just boiling it down to the key things – what works for the gameplay. It should always come back to that – does it support the gameplay? So that’s where the early involvement comes in as well because you can get a project on paper and go, “Yeah, okay, we’re going to do this, it’s going to sound like this or that movie,” or throw out a bunch of strong references. But until you get it running and start actually playing with it and getting hands on, the direction can completely change even though the original tone and intention might be there. Usually, the fun parts of the game are something that you never plan for or never could predict just because of that collaborative, ongoing thing. If someone comes up with a great idea half way through or even close to finishing the product, you have to figure out ways to get that in successfully. Or if it’s too late to get it in will it make it into the next game? BD: How difficult was it to mix a game like Scarface, Prototype or 50 Cent? Because there is so much going on, it seems you’d really have to pick and choose what takes focus. RB: As with any AAA console title, there are so many different systems at work, a priority culling system, dynamics, distance fall-off systems and a state-based snapshot system as well, so there are many different systems running that you need to consider in any mix decision. Fortunately, the systems I’ve used are quite well documented in some of the articles that I’ve written, and some of these systems developed coincidentally at good times in production, like at the same time we were looking at doing a Skywalker Sound mix. So it was one of those happy accidents where, we could connect a control surface to this game running live, we can edit the snapshots in real time, and that makes it so much easier for a film sound mixer who has maybe not worked with game sound tools before. With snapshots, I tend to think about these now as like lenses that can change the way you hear things. A good example is if you imagine a moment where it’s a hand held video camera perspective in the game and you can install a DSP effect snapshot that just treats all in-game sounds that are playing with a bit of distortion, compression and a high pass filter to give it that hand-held-camera-mic kind of feel. So you can just install those effects and the second you’re not seeing it through that lens anymore you can uninstall them. Low health is always a good example as well. The new Army of Two does it with cover, because cover is really important in that game, any time you get behind cover in order to feel more protected they put on a subtle low pass filter on some of the gun sounds and then when the cover disappears they remove the filters. So I like that idea of these different lenses, it could be subjective or it could be objective lenses. Like the video camera example I gave to you is an example of an objective lens where it’s just what a video camera mic would pick up where you’ll be all distorted and blown out. It’s not really how you’d interpret the sound if you were in a warfare situation but through a subjective sort of lens that might be more about filtering out entire groups of sounds or pushing out reverbs or making it feel a little more claustrophobic, scary or a bit unfamiliar. So I think that’s a way to look at mixing and sound design now, beyond the technical. You’ve got all these automatic mixing features like HDR, distance attenuation and panning that you kind of get for free which are about simulation and realism and then you almost need something to break that system every now and again to say, at this point in the game, in this particular moment, the footstep or the leaf or the twig snapping is really important to the story, context or to the narrative so we need a way of breaking that system to make it play. With the mixing stuff in general, games are now getting so complex that you’ve really got to have systems where you can decide what to remove. All the time, you think of what to remove from a mix because if you just let a game go unchecked, it’s just a cacophony of sound. Particularly if it’s a crazy, out of control character who is a superhero, who can destroy buildings and there’s tanks rolling in. You’ve really got to pick the things that need to play, that are important or satisfying for the player to hear. Technically that’s a challenge as well because you don’t want to be playing all those sounds, you want to have technically smooth implementation as well as a nice clean mix. Have you seen any of the Transformers movies? BD: Yeah, I saw the last one. RB: As an experience, it’s a real trip, but the first thing I noticed about that movie was that it’s super over the top but a lot of the time they’re only playing one or two sounds at any moment. Just going from one big thing to a small thing and to one other thing, it’s not usually how you approach a realistic conversation scene or something where you put in every little foley detail. BD: It’s more important to cut through the mix with a movie like that. RB: Yeah, there’s something really clean about it, there’s usually a really clean low end and clean high end stuff going on. It’s not emulating the visual chaos you see on screen which is really interesting. BD: Yeah, I noticed when they’re transforming that there is a hundred different things moving inside the robot but you can’t really cover all of them. RB: No, so they probably play one sound which sounds just complicated enough I guess and it just gives you that suggestion of synchronization. Yeah, I guess your eyes are so overwhelmed that if you overwhelm your ears as well you’ll probably end up throwing-up or something. Those movies are long too, like, two and a half hours long – keeping someone in their seat for that long, that’s pretty tough. So that’s the kind of approach that games are starting to take, that kind of approach where less is way more because you’ve got so much to think about – moving your character around, managing all the different kind of resources you have to manage in games now, your health, ammo, where you are on the map, what the next mission is, it’s a lot to keep in your mind. As a player you need to know what is important. I don’t know if you’ve noticed this as well but when you’re playing a game the experience is so different than when you’re watching someone playing a game. It’s like being a passenger in a car rather than driving the car. BD: Yeah, well, you notice the sound a lot more when you’re not playing the game I think. RB: Yeah, “that tiny piece of rubble didn’t have a sound, that’s terrible!” But when you’re playing it you just didn’t notice it because you were focused on the experience. I guess there’s a decision there about who you’re designing the sound for, is it for people who aren’t playing the game or people who are playing the game. So I guess, as the player, you can be way more immersed as long as you’re hearing the important stuff. I don’t know if you’ve found that as well but that’s something that I’ve seen a lot of. Watch someone playing or get on Youtube and watch a play through of a game or something like that, it’s a really different experience. It’s certainly something that you want to think about as a sound designer. If you play the game you work on, you’ll know what is important to the success of the sound design. BD: About the people who aren’t playing the game? RB: Yeah, I don’t know, it depends what type of game it is. Something like Uncharted 2 is a game that you could sit and watch it because the story is so strong and so well done – you could actually just watch someone play that almost as though it were a movie. If someone was playing it well, anyway. If they kept dying and kept repeating bits you’d have a pretty tough time watching it. So I guess the audience depends on the type of game. BD: How do you see mixing interfaces working in the future, do you think it will be sort of a touch screen sort of approach or maybe something like Minority Report where you’re kind of moving things with your hands? RB: I’d love it to be like Minority Report just on the off-chance that someone walked in and saw you doing it – that would be the only reason to have something like that, for show, or for clients, but… the hardware faders are great, it’s nice for film mixers to be able to come in and mix your game with a familiar interface, that’s something I’ve found. BD: A lot of audio people probably don’t want to give up the faders to touch screen, at least people I’ve talked to have said that. RB: Yeah, but as long as you can move something on screen you can mix a game. BD: If you could have a touch screen where you could assign everything with unlimited options, it seems like it would be a really good method to mix. RB: I think you can do that, with Lemur or even with a Mackie control surface you can assign that to do whatever you want pretty much just because it’s MIDI. If you wanted to, you could have the faders controlling the color temperature on the screen, give that to the artists or something. You could use a control surface for anything, not just gain or send levels. If you start to think of it as just a controller and you can control anything you want. BD: So you think artists can use it too? BD: Is it hard if something’s not standardized for more people to learn it or do you think it’s better to have proprietary technology where just a few people learn to use it well? RB: Yeah, if someone wants that then a programmer and that person can get together and make it happen. If they want to just sit there and mix the colors on the screen, if you’ve decided that’s important to the process, you could easily get someone to make that happen. In a sense, that’s what we did with the mixing stuff as well, we just felt that we needed that additional control and fluidity at the end of production. We wanted to be able to really finely adjust the levels of sounds and that it would be a more natural interface to do that with. 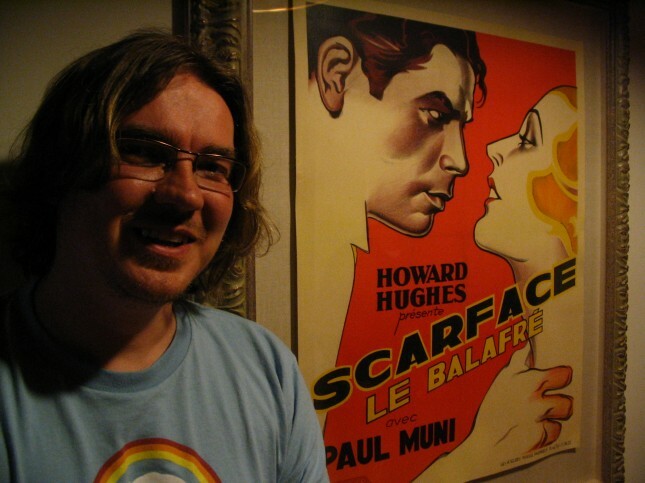 And again, bringing film people in is a big part of it as well on that particular project (Scarface). It’s always a combination of the two, you’ll do a bit of premixing without the faders, you’ll premix with the mouse or even type in numbers and just listen to it. As long as you’ve got live feedback I think you can mix with any method as long as you have the ability to change a value and then hear how that value’s affected it. Not too long ago it was done with a spreadsheet. You’d put in the new mix value next to the column, instead of 80 it needs to be 84 and then you’d rebuild the game and listen again. That wasn’t too long ago and still developers mix that way, it is still reality, so I think the one thing you can say is that there’ll be a whole bunch of different systems out there and everyone will be doing it slightly differently. There will be a combo of middleware that’ll be standardized to some extent or companies will use middleware differently. Or developers will just create a mixing system specific to the kind of game they’re working on. That’s one of the really interesting things about games as well, is that every team is doing it differently pretty much. Even if they’re using the same game engine, they’re using it in totally different ways. That particular feature may not be needed in their game but they’re using it in a way that wasn’t meant to be used, hacking it, really, that’s super interesting to me. Not being in film post production, I’m not entirely sure…but I believe that’s a way more understood and standardized process. It has to be. 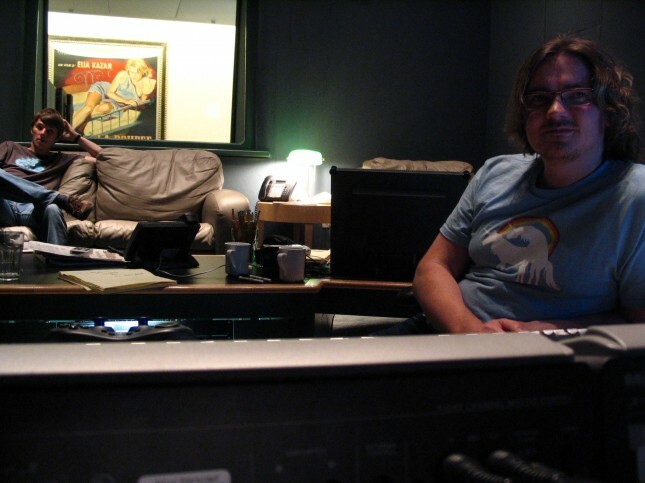 It’s more often than not a ProTools environment, they do the mix in the last 4-6 weeks or whatever it is and everybody knows how it’s going to go down, what’s going to happen and who is going to be there. With games, it’s really up to the developers and everyone’s doing it completely differently. BD: So you prefer that to film? RB: I’ve never worked in film sound, so I couldn’t say for certain. What I can say is I prefer a best of both worlds scenario. I prefer some knowledge going into it, that this is what we’re going to do and this is how we’re going to do it but the ability to drop that at any second and go “this isn’t going to work for us, we need to do it differently,” – I think there’s a lot of freedom there. That is what is good for me anyway. If some system or method doesn’t exist, you can just invent it. With the right people and the right team, you can make it happen. If it’s important enough for the game, if it supports a key feature or key element of the game then there’ll be the support for it. I assume that is different to film sound design, I guess because film production, big budget at least, has been around for so much longer, and the industrialization is enriched. BD: I found that out in school, that the film delivery requirements are very specific, they taught us in a very specific way. RB: Games are a bit more wild west, you walk into a developer and anything can be going on from a tech or process point-of-view. It’s like learning everything from scratch every time you walk on a different team or project. That’s kind of cool actually, I like the fact that you’re not just doing the same thing over and over again, using different tools, pipelines, methods. If your pipeline is rock solid and easily repeatable, I guess you become very experienced doing that but you might miss out on innovations. BD: Have you worked with your own Foley studio? RB: Yeah, at various companies, it was usually in a space used for ADR but those kinds of rooms are also great for sound effects recording. That would be for any effects that we needed or it would be literal Foley for cut scenes as well, jackets and cloth and stuff like that done to picture. I’ve done a lot of footstep recording outside though, at 4am when it is very quiet. If you go out to UBC in a parking lot, run around with various footwear, trying not to get spotted by the cops. We always got some good stuff that way. I think outdoor Foley is a good thing to do actually, even if you just learn how it sounds and use your recordings as reference, you can recreate it. BD: I think if you have outside sounds you should try to be outside, if possible. It’s harder to do in a closed room and just put reverb on it. RB: Yeah, even a really clean recording from a studio used with an exterior impulse, still it’s not quite right. A lot of that is distance to the mic. I find a lot of the time, when you’re outside you tend to back away further from where you’re recording so you get a bit more of the natural reflection, it just feels more real. If you’re in a studio, the temptation is to just close-mic it and then manipulate it later. Field recording is really great for learning all sorts of things about sound, but the thing I always bring back from a field session is a knowledge of how it feels to experience it. We did a ton of weapon recording out in the desert in Nevada for Scarface, the thing I ended up using was not the recording, the recording was a reference for me, it didn’t make it into the game, but it was more getting hands on with a machine gun, feeling it pushing back. BD: You get an intuitive sense of how it feels. RB: Yeah, it’s a shocking sensation the first time you shoot one. Shockingly loud, but the volume is only part of the experience. So being able to then take that back and try to recreate that feeling is an invaluable approach to the sound design. BD: I can only imagine what it’s like in Iraq or Afghanistan or something. RB: You see, that’s the thing about a game set in that kind of environment, you can’t imagine the kind of things you have to deal with. I can’t imagine how that affects how you see and hear things. The pressure and intensity must color how you perceive everything. BD: You should have to not drink any water while you’re playing the game. BD: You should have to suffer a bit more. RB: It should come with a sheet, here’s what to do to prepare, spend a couple of days without sleep. BD: Fast for a day. RB: Take a flight, in coach, for 24 hours, go to Australia and come back. Don’t drink anything. BD: Wear 100 pounds of gear. RB: And then boot the game (laughs), see how long you last. BD: Do you have any thoughts about the state of the industry in Vancouver or any comment on why studios are closing? RB: (laughs) Well, yeah, it’s almost to the point of extreme compared to a place like Montreal or the Maritimes. BD: Do you think that there’s anything more that the city can do support developers? RB: It’s really hard to say, and I don’t think you or I can see it because we’re “in it”. You can’t really look at it and go “this is what’s happening.” Maybe 10 years from now you can go “Oh, that is what was happening.” It’s not all bad though, there is still work here in the province. Victoria seems to be up and coming at the moment, there’s a new Microsoft studio there, as well as plenty of Indie dev action. BD: Do you have any preference for what types of games you’d like to do in the future? RB: Not really, no. Every game and every genre brings its own unique challenges. Games I like playing are often very different than the games I like working on. I enjoy working on the big triple-A, big teams, long development cycles where it’s a big thing and it’s always changing and it’s very dynamic. Whereas I enjoy playing the quick, easy, drop in drop out racing games, that kind of thing. To think about working on a racing game would be a great challenge, on one level, you’ve got to be seasoned and experienced in that genre to do something like that really well. BD: I guess there are people who really like cars and they’ll know every engine sound so it has to be exactly right. RB: I’d do it, I think I’d really enjoy the challenge of how to approach it differently, but I’d approach it *very* differently. There’d be the simulation-like aspect to it which, we’d have to get that right but then there’d be the dynamics aspect to it, like how do you stop that engine from feeling repetitive. At different points of the game, if you’re winning versus if you’re neck and neck with someone, is there ways you can play with the sounds and make it feel a little more dramatic rather than realistic. When manufacturers design a real car engine, there’s a lot of thought put into the way it sounds. If it’s a luxury brand, they’ll sometimes make it feel like there’s no engine sound, it’s very soft, and all the doors just ‘click’ in a very satisfying way. BD: I’ve heard that some cars have a fake engine sound that they play through speakers in the car. RB: Yeah, you can buy the little device that can change the sound of your engine, I’ve seen it, you can buy it! RB: I guess if you’re buying a hot car, like a sports car or something really showy, you probably have the exhaust sound and you want people to hear it, that’s part of the experience. People also just drill holes in the exhaust to make it sound like a sports car. But yeah, I guess, for a game, you’d approach the sound design in a similar way, dynamically you’d want it to feel like a soft car at one point and then an aggressive sports car at a point where it needs to feel like one. BD: Yeah, I never thought of how the car manufacturers put thought into the sound of it. RB: I think it’s a massive part of product design. I think there are sound designer jobs at places like industrial manufacturers, I think their role is both to reduce unwanted sound, and promote sound with character, or to design the interface sounds on it to be particularly soft or identifiable with the brand. We have a fridge at the moment that is quite new and it has this lovely soft, if you turn the temperature up and down, it has this really soft chime, I adjust it all the time. Obviously a lot of thought and testing has been put into that sound, to make it feel good, not kind of just pressing a clunky button and it’s getting colder. BD: That’s interesting, to be a sound designer for products. RB: Yeah, well, it might be a huge challenge, I think it is more of an industrial designer role with a focus on sound, so you are thinking about components and materials. It really isn’t too dissimilar to what we do with sound design in games. BD: Sometimes I wonder about the jobs I see posted on Game Audio 101 where it’s to make casino or slot machine sounds. It sounds kind of interesting. 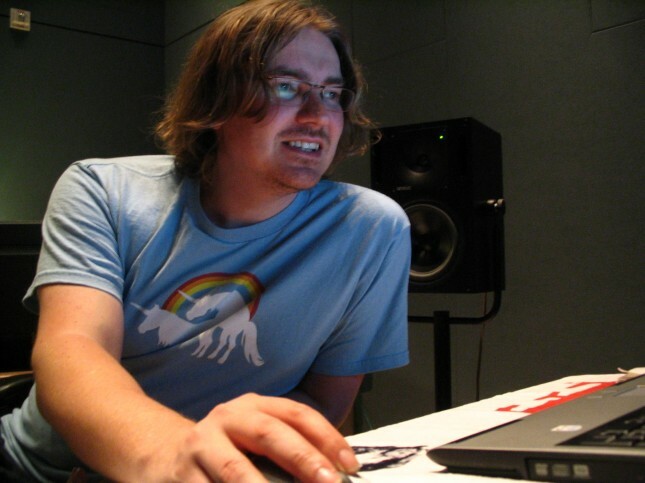 RB: There’s a researcher you might be interested in, Karen Collins, I don’t know if you’re familiar with her, she published a book called ‘From Pacman to Pop Music.’ It’s a great collection of articles about game audio which I was fortunate enough to contribute to. But I think, she went on to study slot machine sounds and really did some good research in that area. BD: It’s interesting because I guess the goal is to make it as pleasurable as possible, everything is melodic. RB: Yeah, I think it’s a lot to do with the psychology of sound, like, I’d imagine you don’t want to feel like you’re losing, ever. The negative sounds are really pushed away and everything feels like it’s really exciting but yeah, I don’t know how you might approach that, how you keep that going. Whenever I’ve been in places like Las Vegas where there’s just thousands of slot machines it always feels like some kind of weird narcotic experience because everyone’s kind of high. BD: (laughs) That’s quite possible. RB: They’re high on the adrenaline I guess. BD: They’re hypnotized by the sounds. I kind of like that feeling, I don’t like to gamble but I like to go there and listen, take in the weird surreal experience they’ve created. RB: It’s like an ocean of sound, really. It’s just like waves of the same thing. I think our ears like things like that because it’s kind of predictable and soporific so you just get into it. I find that a lot with distant traffic sounds or waves, things like that, the sound doesn’t need to be natural in origin, but it is wave-like. BD: It puts you in a trance. RB: Something like, you hear it initially but then it disappears completely. Then you have this subconscious space in which you can stop listening, you stop hearing what the sounds are and you start to think really differently whenever you’re in a place like that. It’s like if you’re sitting next to a loud fountain or something like that. It just clears out all the other noise. It doesn’t matter if there are people talking or whatever, it becomes your space. I used to get that in arcades as well. I don’t know what it is. BD: I’m sure it’s completely intentional too. RB: Yeah, I’m sure it is. I don’t gamble so I don’t know what it’s really like to be in the grip of the machine, you know. Go Brad! Great interview man.